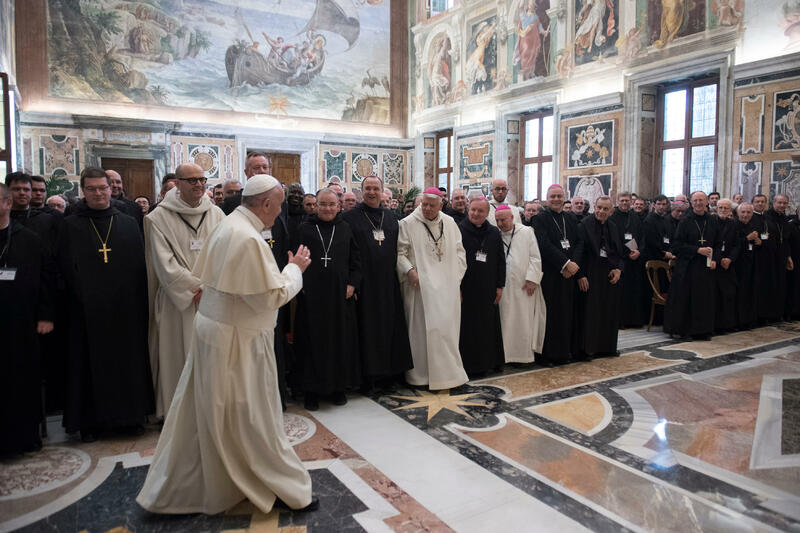 Pope Francis on April 19, 2018, in the Clementine Hall of the Apostolic Palace, the Holy Father Francis received in audience the monks of the Benedictine Confederation, on the occasion of the 125th anniversary of the founding of the Benedictine Confederation and the laying of the first stone of the Primatial Abbey of Saint Anselm in Rome. I welcome you on the occasion of the 125th anniversary of the foundation of the Benedictine Confederation, and I thank the Abbot Primate for his kind words. I would like to express all my consideration and gratitude for the important contribution that the Benedictines have made to the life of the Church, in every part of the world, for almost fifteen hundred years. In this celebration of the Jubilee of the Benedictine Confederation, we wish to remember, in a special way, the commitment of Pope Leo XIII, who in 1893 wanted to unite all the Benedictines by founding a common house of study and prayer here in Rome. We thank God for this inspiration because this has led the Benedictines all over the world to live a deeper spirit of communion with the See of Peter and between themselves. Benedictine spirituality is renowned for its motto: Ora et labora et lege. Prayer, work, study. In the contemplative life, God often announces His presence in an unexpected way. With the meditation of the Word of God in the lectio divina, we are called to remain in religious listening to His voice in order to live in constant and joyful obedience. Prayer generates in our hearts, willing to receive the amazing gifts that God is always ready to give us, a spirit of renewed fervour that leads us, through our daily work, to seek to share the gifts of God’s wisdom with others: with the community, with those who come to the monastery in their search for God (“quaerere Deum”), and with those who study in your schools, colleges and universities. An ever renewed and invigorated spiritual life is thus generated. Some characteristic aspects of the Easter liturgical season, which we are living, such as announcement and surprise, prompt response, and the heart willing to receive the gifts of God, are indeed part of everyday Benedictine life. Saint Benedict asks you in his Rule to “put absolutely nothing before Christ” (No. 72), so that you may always be vigilant, today, ready to listen to Him and to follow Him obediently (cf. Prologue). Your love for the liturgy, as a fundamental work of God in monastic life, is essential above all for yourselves, allowing you to be in the living presence of the Lord; and it is precious for the whole Church, which over the centuries has benefited as though from a spring water that irrigates and fecundates, nourishing the capacity to live, personally and in community, the encounter with the risen Lord. If Saint Benedict was a luminous star – as Saint Gregory the Great called him – in his time marked by a profound crisis of values and institutions, this was because he was able to discern between the essential and the secondary in spiritual life, placing the Lord firmly in the center. Lord. 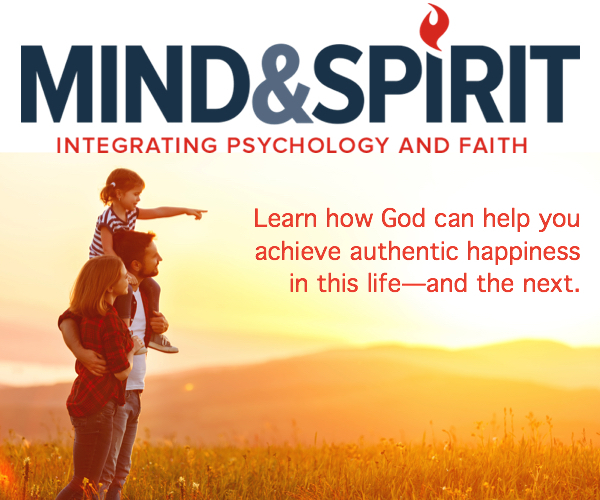 May you, his children in our time, practice discernment to recognize what comes from the Holy Spirit and what comes from the spirit of the world or the spirit of the devil. Discernment “calls for something more than intelligence or common sense. It is a gift which we must implore … of the Holy Spirit. Without the wisdom of discernment, we can easily become prey to every passing trend” (Apostolic Exhortation Gaudete et exsultate, 166-167). In this age, when people are so busy that they do not have enough time to listen to the voice of God, your monasteries and convents become like oases, where men and women of all ages, backgrounds, cultures, and religions can discover the beauty of silence and rediscover themselves, in harmony with creation, allowing God to restore proper order in their lives. The Benedictine charism of welcome is very precious for the new evangelization because it gives you the opportunity to welcome Christ in every person who arrives, helping those who seek God to receive the spiritual gifts He has in store for each of us. Moreover, the Benedictines have always been recognized for their commitment to ecumenism and interreligious dialogue. I encourage you to continue in this important work for the Church and for the world, placing your traditional hospitality at its service. Indeed, there is no opposition between the contemplative life and the service of others. The Benedictine monasteries – both in cities and far from them – are places of prayer and hospitality. Your stability is also important for people who come to look for you. Christ is present in this encounter: He is present in the monk, in the pilgrim, in the needy. I am grateful for your service in the field of education and formation, here in Rome and in many parts of the world. The Benedictines are known for being “a school in the service of the Lord”. I urge you to give to students, along with the necessary ideas and knowledge, the tools for them to grow in that wisdom that drives them to continually seek God in their lives; that same wisdom that will lead them to practise mutual understanding, as we are all children of God, brothers, and sisters, in this world that so thirsts for peace. In conclusion, dear brothers and sisters, I hope that the celebration of the Jubilee for the anniversary of the foundation of the Benedictine Confederation may be a fruitful occasion for reflecting on the search for God and His wisdom, and how to most effectively transmit His perennial riches to the future generations. By the intercession of the Virgin Mary, Mother of the Church, in communion with the heavenly Church and with Saints Benedict and Scholastica, I invoke upon each one of you my apostolic blessing. And I ask you, please, to continue to pray for me. Thank you.